Is your WordPress site slowing down? To start, you should check out our guide on optimizing WordPress, because this could be a problem no amount of image compression can fix! But once those common issues are out of the way, there’s always room for improvement. The faster your site loads, the better! This is how WordPress plugins can speed up your site. And much more! Ready to have a faster site? Let’s get started! Scripts, styles, and HTML can take up a lot of space, bogging down your site. Autoptmize minifies and caches these elements, along with a bunch of other useful actions like optimizing Google Fonts! It might take some configuring, but the boost will be more than worth it. WordPress’ PHP files can be slow to load sometimes. WP Super Cache turns them into lightweight HTML files that are served to your users. There’s even a simple mode for those who aren’t comfortable editing core files. W3 Total Cache is also a great alternate caching plugin. While more difficult to set up, it can do a better job at reducing page size if you know how to configure it. WP Super Cache is the better choice if you’re a beginner, and it does just fine, but W3 Total Cache will really get those loading times down. This is certainly a plugin to be used with caution — don’t go messing with plugin load order if you don’t know what you’re doing — but it can do wonders for a website’s speed. When you have a plugin, it has to load on every single page, even on ones where it doesn’t serve any use. Use Plugin Organizer to turn them off except for the pages they appear on! Conflicts and issues can cause loading problems on your site. This troubleshooting plugin identifies the errors and allows you to correct them much easier than it would be on your own. If your WordPress install has problems, this can get things back to normal again. Nothing is worse for your loading times than huge image files, ripped right out of your camera! The bigger an image’s file size, the longer it will take to download. 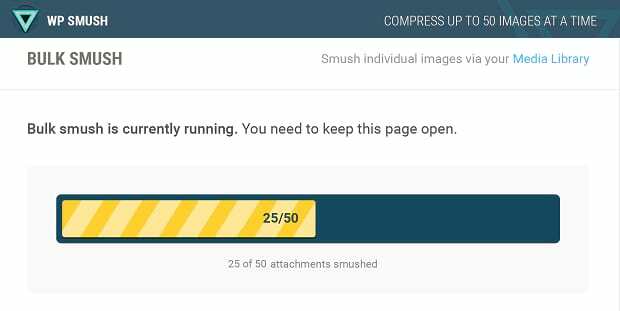 Smush uses lossless compression so your images remain gorgeous but take up little more than kilobytes of space on your server. Jetpack does everything, and quite a few of its functions are great for the health of your website. Their Site Accelerator is a CDN that hosts your images and static files, delivering them at high speeds across the world and even potentially lowering hosting bandwidth costs! 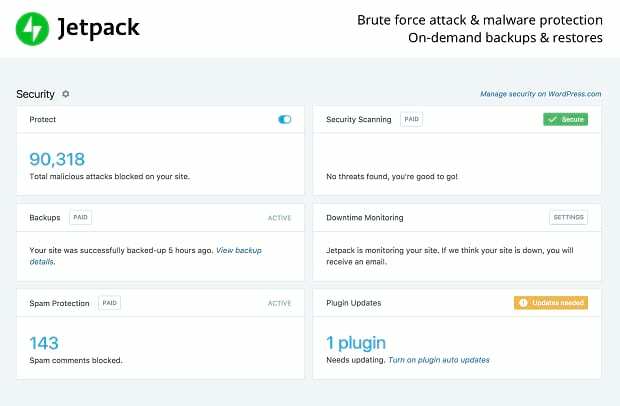 Jetpack keeps your site secure and safe from hackers as well. This plugin is dedicated to removing all the trash that accumulates on an unchecked server. It keeps your website clean and free of unnecessary data. All those spam comments, post revisions, and whatnot can really start to clog up your database. Get rid of them and keep everything organized! Did you know that spam can actually slow down your website? When your WordPress site gets bombarded by hundreds of thousands of spam comments, it can really be a drain on your disk space. Akismet blocks and discards those comments before they can reach your site. Why waste bandwidth if your visitors don’t even finish scrolling down the page? Lazy load causes images to appear only as people scroll. Besides saving you bandwidth, this ensures that only the elements your visitors can see are given loading priority. It’s a free speed boost! Perfmatters is a premium plugin that eliminates unnecessary HTTP requests and optimizes code. In other words, it makes your site lightweight so it won’t struggle to load! The plugin itself is under 50kb, taking up practically no space! Slow page loading means a high bounce rate as visitors get frustrated and ditch your website. You don’t want that to happen, so make sure to install some plugins that suit your website. Don’t go overboard though! You only need one image compressor, one caching plugin, etc. Installing more won’t do anything, or could even hurt your website’s loading speed. Make sure to read about the plugin carefully before you hit “install”. What’s your favorite speed-boosting WordPress plugin? Share with us below, and when you’re done, remember to follow us on Facebook and Twitter for more!